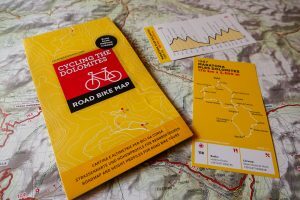 Another step that took me to create this website was a 3-year work assignment to make a detailed road cycling map. My task was to ride all kinds of roads in the Dolomites – paved and unpaved, rideable with a road bike or not - with a GPS device. After all the data was collected, I had a great friend work on the cartography: Stefano di Santo. You may have noticed his signature “SDS” in every route map and altitude graph of the Giro d’Italia. What resulted was a really detailed road map of the Dolomites and northwards up to the South Tyrolean Alps. We also took care to mark where you can find fresh water fountains. On the back of the map there are 32 altitude graphs of all the climbs you can ride starting from our valley. 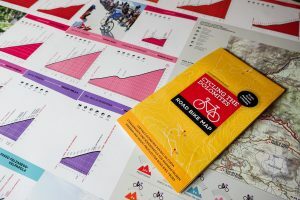 Together with the map, we created 5 plastified cards that represent maps and climbs of the 5 routes that have been ridden in the Maratona dles Dolomites, starting from the first edition in 1987. More cards with classic routes and ‘extreme’ routes will soon be available separately. 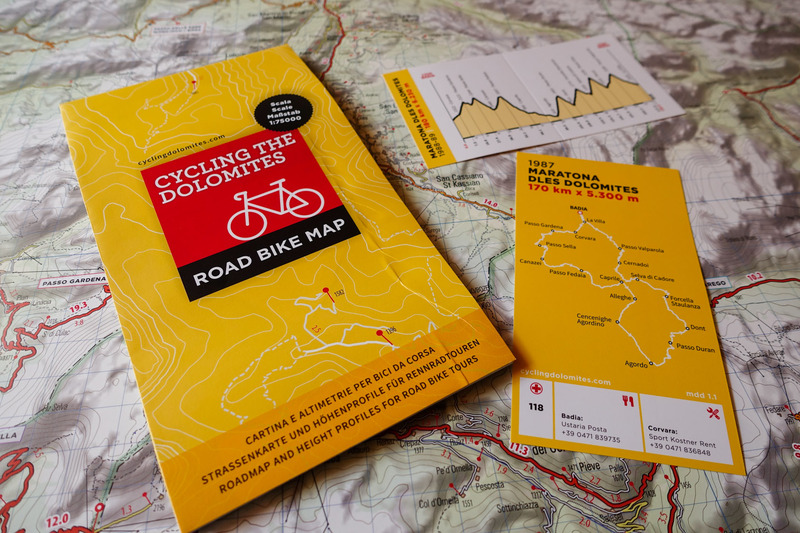 You can buy the Dolomites Cycling Map directly at our on-line Shop. Cycling the Dolomites Routes, climbs, pictures and stories © 2019. All Rights Reserved.